Here I am presenting a list of TOPIK vocabulary taken from the 2011 research paper by Angela Lee-Smith and Danielle Ooyoung Pyun – “An analysis of the Test of Proficiency in Korean (TOPIK) focusing on beginning-level vocabulary and grammar items”. This is a wonderful research paper and I think that the TOPIK Vocabulary list that it presents is a must have for all TOPIK beginner level aspirants. 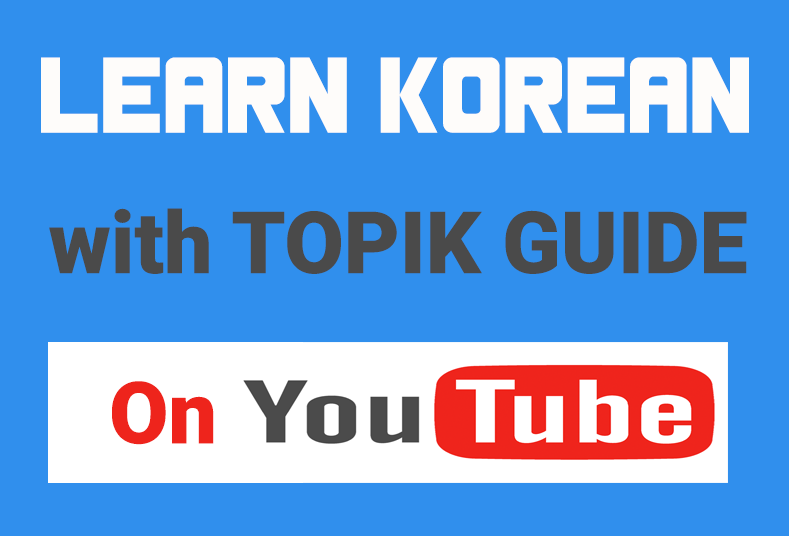 Please note the list covers only Grammar-Vocabulary (어휘-문법) section of TOPIK and not all the four sections. In this article I am presenting the vocabulary list only. I will list the TOPIK grammar patterns in a separate article. So below there is a comprehensive list of approx. 700 words that you must learn in order to get a good score in TOPIK. I am just giving the Korean words here and not their meanings. You will have to find them yourself. I will try to make another list with the meanings of the words soon. But It would be great if after finding all the meanings someone of you could send the list to TOPIK GUIDE. I will post it as a new article (with your name and photograph if you want) and that can be really useful for people in future. I will remind you again that this list covers only Grammar-Vocabulary (어휘-문법) section of TOPIK and not all the four sections. I hope this list help you with your TOPIK preparation. All the Best from TOPIK GUIDE! Great!! Thanks for sharing, Catherine! Additionally I want to steer your attention to the same list already created on memrise (in full!) by a fellow Korean learner: http://www.memrise.com/set/10009671/national-institute-of-korean-language-vocabulary-l/ My guess: It would save you time and work to simply REVIEW (by search function) the nouns and other vocabularies there and then to amend them with memes, examples, part of speech classifiers etc. Thank you. I’m building a TOPIK (general korean language actually) site myself in spanish. Since i want to take the begginers test later this year. Can I borrow this list and translate it to spanish in my site?. Thanks! I have been unable to find a copy of that paper by Lee-Smith & Pyun. Do you have a link to it somewhere? May I know if you can email the paper to me, too? I am so thankful about your work. I bought alot of books but I still prefer topikguide.. Keep it up..Anyway, kindly email me the topik exam for intermediate last October 29,2012? I downloaded it for how many times but I can’t open the file. And also the copy of that paper by Lee Smith and Pyun too? God Bless and more power!!! Thank you so much for creating this website. I am hoping to go to Korea in April to visit different places and sight-see, and while I am there I will be taking the TOPIK test in April. Just a note: I was going through the list and making flashcards out of the words in the “Nouns” section and I was wondering what does 찻값 mean? I looked it up in 네이버 사전 and I couldn’t find it. I would really appreciate your response. Thanks! Hope you received it. Thank you. Hello dear Can you inform us about last update about TOPIK self study material which is sale. Hello! I have translated this vocabulary list into Russian.If it hepls I will send it to you.